Earn Cash Back on hotels, flights and more. Everyone needs a vacation now and then. 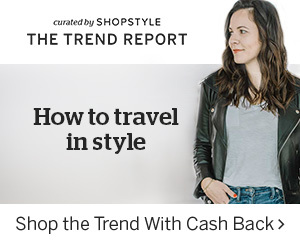 Pack up and get ready to go, because Ebates is here to help you get Cash Back and discounts on all your travel needs, from airfare and hotels to car rentals and more! Make time to take time, and book yourself a dream vacation by shopping through Ebates for deals on travel! If you've been wanting to visit a tropical island for a romantic getaway with your significant other, it's never too soon to book a flight and hotel reservation. Shop through Ebates for special discounts when you create your ideal itinerary for a solo trip across Europe, or get promo codes and Cash Back on family-friendly vacation packages at an amusement park or other attraction perfect for the whole gang. Maybe you've been pining for a fun weekend at the beach or in the mountains to get away from it all with your BFFs. Go through Ebates for vacation rentals, like a condo right on the water or a cabin nestled in the trees. 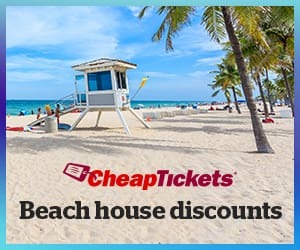 While you're at it, check out the coupons and Cash Back you'll receive by shopping through Ebates at select merchants for luggage sets and must-have travel accessories. With all the money you save - plus Cash Back - you can buy extra souvenirs! When you join Ebates, you'll find out what more than 10 million members are raving about! You'll be excited to get coupons and Cash Back every day at more than 2,500 stores carrying virtually everything you need or want in a huge variety of categories. Sign up for free today, and start shopping so you can get your Big Fat Check!